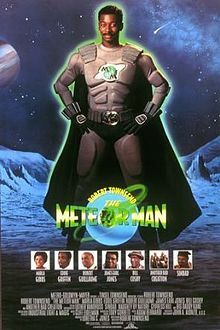 Meteor Man written and directed by Robert Townsend. To be honest, me prefer his Chinatown. Still, monster surprized me not hate dis movie. Sure, it all sortz of stoopid and itz hero as interesting as a deli sandwitch named after David Caruso, but it not all bad. Only mostly bad. Gang in Michael Jackson’s Beat It video look hard comparison. Jeff chased by street gang. He gets away, but den chased by meteor. It aktually fall out of sky and chase him down an alley before crashing into him. Now dat one determined, spiteful meteor! Jeff end up at hospital but mirakulously healed. And he have other superpowerz too: flying, superstrong, x-ray, able to know everyting about a book for turdy sekonds after he touch it! Oh, he also able to understand his dog who sound like robot and give worst performance by talking dog since Maraduke Has de Runs. Anyway, he fight gang and win! He tell his mom to keep his superpowerz a sekret, but she so proud, she tell EVERYONE! Now whole nayborhood know! Inkluding his good friend who work for CNN. And de dark side. Bad guyz come back. Try to shoot him. He bullet-proof. Dey try to run him down. He fly up onto lamp post and fall down, cause earthquake and giant fissure – dat gets mysteriously fixed and never seen again. Community decide he have to patrol nayborhood. Mom make him Meteor Man costume. Reaktion of his friends and family to his new superpowerz aktually best part of movie. Everyting else is worst part of movie. Wonder if Alfred sew Batman’s costume for him? Meteor Man start his patrol. Stop crime. At one point, step into middle of shooout between police and street gang and place peacemaker. Yep, dey need to put differences aside. Just because one group believe in law and order and other believe in crime and killing dis not mean dey can’t reach some sort of understanding. Why can’t cops and criminalz just get along? BIG BIG scenery-chewing bad guy puts bounty on Jeff. Gangsters ambush him at skool. Den, for some reazon, let him go. But den show up few days later and shoot him up. Dey drive away but Jeff notice – his hand bleeding. He getting weaker! 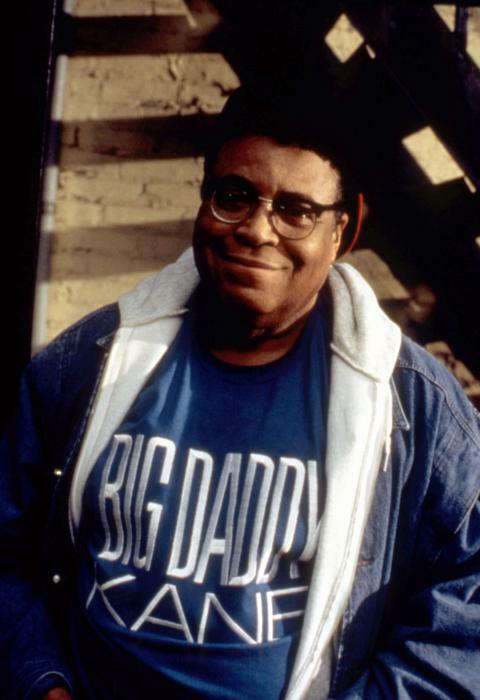 Big big bad guy show up at his apartment building. Jeff asleep and can’t wake up. Dog (dat must have some superpowerz of its own) drag Jeff off bed and behind couch. Big big bad guy break into apartment. Den, Slinky show up. Dey argue over who should handle Meteor Man. Den leave. Dey leave! He lying right dere! Community meet. 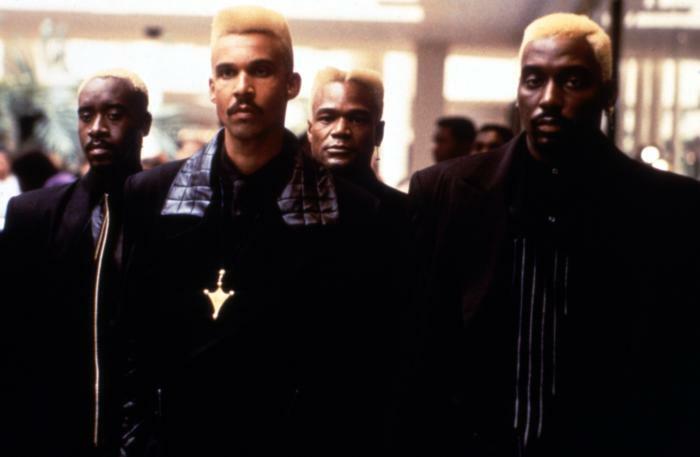 Dey decide dey have to get Meteor Man to move. He too much trubble. Jeff sad. And even sadder when gangsterz show up and beat him. He losing power. He too weak. But homeless Bill Cosby come to de reskue because he also have piece of meteor! He help Jeff regain power. But Slinky get powerz too. Fight! Fight! Fight! Meteor Man beat him and absorb his powerz. 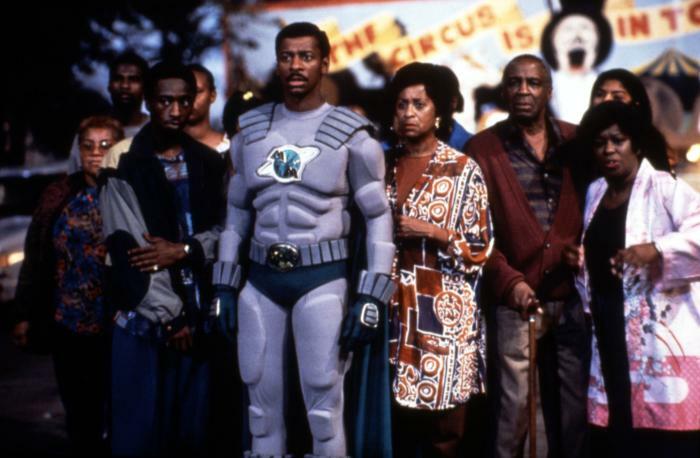 Whole nayborhood show up to help Meteor Man defeat bad guyz. Bad guyz arrested by cops and their new friendz, the street gang dey were shooting at earlier in movie. Cops + street gang = BFF! And everyone live happily ever after. Escape maybe whoever get shot in retaliatory drive by shooting in off-screen scene after clozing creditz. Verdikt: Flashes of humor make dis movie not total waste of time. But pretty darn close. Rating: 4 chocolate chippee cookies. 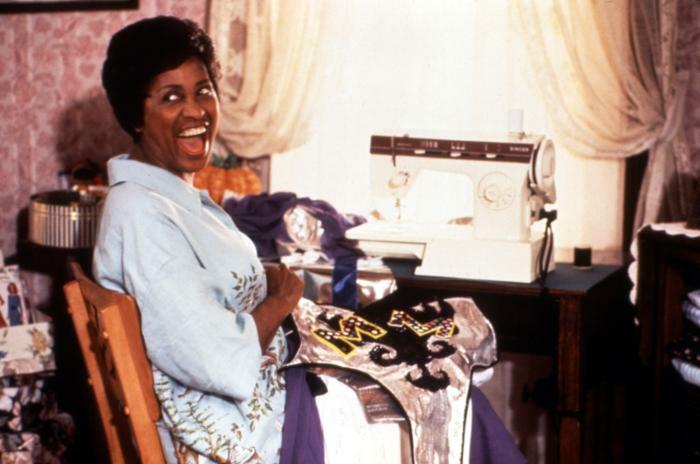 Watched this movie sooo many times as a kid! There was just something about the integrity of the character to me. Great post!